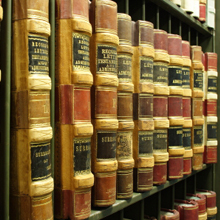 I handle many types of cases to bench and jury trials including DUI, DWI, Criminal and Traffic. You want a Attorney who will personally handle your file and will be available for consultation afternoons, evenings and weekends. I will fairly evaluate your case and determine the most favorable course. I will not hesitate to go to trial on your case; that decision, however, will ultimately be yours. You are looking for a Attorney who will only tell you what you want to hear. I will work with you to honestly assess the facts of the case. I personally communicate with you whenever possible. If I am in Court when you call, you can leave a message. I personally guarantee you will hear back from me in 24-hours, or less - most often, much less. My office phone is 814-931-9348. During our free initial consultation I will answer any questions. Please call 814-931-9348.